Colorado Republicans notched a victory in their efforts to slow down the speedy movement of a controversial oil and gas regulation bill thanks to a temporary restraining order granted by a Denver judge. Denver District Court Judge David Goldberg issued a temporary restraining order Tuesday against Senate President Leroy Garcia and Senate Secretary Cindi Markwell for their use of five computers to speed-read through a 2,000 page bill. 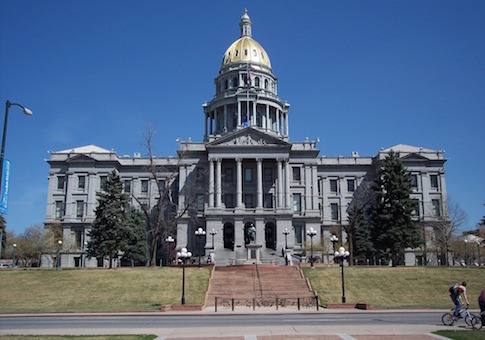 Senator John Cooke, R-Greeley, on Monday requested that House Bill 19-1172 be read on the Senate floor as a way to delay the quick movement of Senate Bill 19-181, sweeping legislation regulating the oil and gas industry. HB 19-1172, an unrelated bill dealing with recodifying statutes, is over 2,000 pages and was expected to take several days to be read in full. The GOP request was one of the few tools on hand to delay the oil and gas bill, since filibusters aren’t allowed in Colorado. To speed up the bill reading, Senate Democrats brought in five computers to simultaneously read off different parts of the bill at 650 words a minute each, a pace not intelligible to humans. The reading took under eight hours because of the computers. Cooke, along with Sens. Bob Gardner, R-Colorado Springs, and Chris Holbert, R-Douglas County, requested the restraining order on Tuesday afternoon. The order, posted by Complete Colorado, restrains Garcia and Markwell from refusing that the bill "be read in an intelligible fashion." It also bars the passing of the bill "by failing to read the bill out loud on two consecutive days." Republicans have grown increasingly frustrated over how fast legislation has been moving through the General Assembly, with little opportunity for debate. "We went to leadership last week and asked them to slow down, why rush it? We asked to let us have more debate. Basically they said, ‘because we can, get over it,’" Cooke said, according to Complete Colorado. Cooke has said SB 19-181 would not be good for Weld County, which he represents and is the state’s the largest energy producing county in Colorado. Garcia referred to the GOP’s move as "political gamesmanship" in a scathing statement on Tuesday. "Senate Republicans have decided to employ unprecedented partisan tactics, abuse taxpayer dollars, and waste time that could be spent working for the people of Colorado," he said. "This political gamesmanship is more fitting of Washington, D.C. than Colorado – we are better than this." "It is not too late," Garcia added. "My door is open, and my colleagues are welcome to discuss how we can come together to ensure we pass the best policy for Coloradans – like we were elected to do." A preliminary injunction is scheduled for March 19. SB 19-181 was passed by the Senate on Wednesday, sending it to the House to consider.